DKSH Business Unit Consumer Goods, a leading Market Expansion Services provider for Fast Moving Consumer Goods, has signed an agreement with PepsiCo Australia & New Zealand to provide merchandizing services for its business unit Bluebird Foods in New Zealand. PepsiCo’s Bluebird Foods New Zealand was established in 1953 and is one of the biggest snack food manufacturers in the country. DKSH will drive in-store presence of leading New Zealand brands, including Copper Kettle, Dorito’s, Krispa, Nobbys, Le Snak, Red Rock Deli and Sunbites in the New World, PAK’nSAVE and Countdown supermarkets. The agreement in New Zealand strengthens DKSH’s commitment to providing Market Expansion Services for PepsiCo by building on existing relationships in Cambodia, China, Hong Kong, Malaysia, Myanmar, Singapore, Thailand and Vietnam. PepsiCo Australia & New Zealand is home to some of the world’s most recognized and respected brands including Pepsi Max, Gatorade, Doritos and Quaker, together with local favourites like Smith’s Chips, Red Rock Deli, Copper Kettle, Bluebird Chips and Twisties. From beverages to snacks, we offer consumers a broad range of product choices from simple treats to healthier offerings. PepsiCo Australia & New Zealand employs 2,500+ Australians & New Zealanders and encompasses four business units – The Smith’s Snackfood Company, PepsiCo Beverages and Bluebird Foods New Zealand. 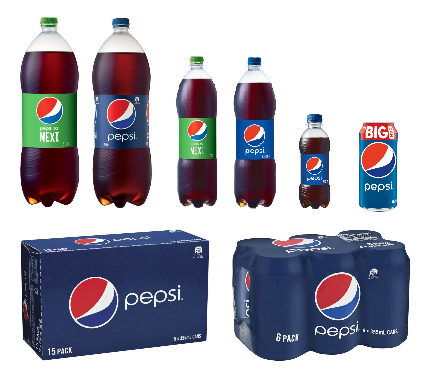 PepsiCo Australia & New Zealand is part of the global PepsiCo Inc., family which is comprised of four major divisions: PepsiCo Americas Beverages, PepsiCo Americas Foods, PepsiCo Europe, PepsiCo Middle East and Africa.